We have released our first digital annual report. Please click on our chapters, scroll through the website and share any useful content with others. More than 2,000 first contact enquiries – up 15% from the previous year. This year saw the milestone of 700,00 registered .nz domain names being reached and surpassed. Domain names not available for registration because they were in a conflict set dropping from over 14,000 to just over 2,000.
International Participation and contributions to ICANN, Internet and Jurisdiction’s Domain Name Abuse Forum and Asia Pacific Top Level Domain Name events. 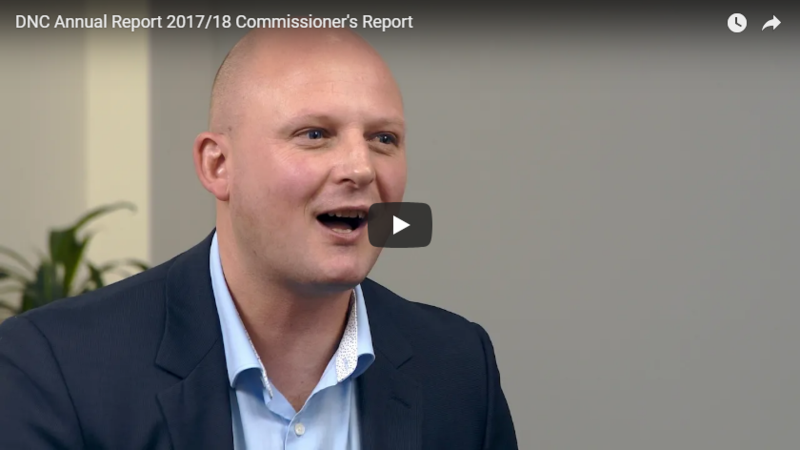 Watch the Commissioner's introduction to the annual report below. In the six-month period between October 2017 and March 2018, the Commission cancelled 103 domain names for fake registration details. Over the next 12 months the Commission is building its compliance capabilities around data accuracy and data quality. Later in the year, the Commission together with InternetNZ will be holding a one-day domain name policy forum in Wellington to look at ways to tackle domain name registration and domain name infrastructure abuse, among other things. To read more about the safer .nz initiatives read the Commission’s media release and subsequent media reports. 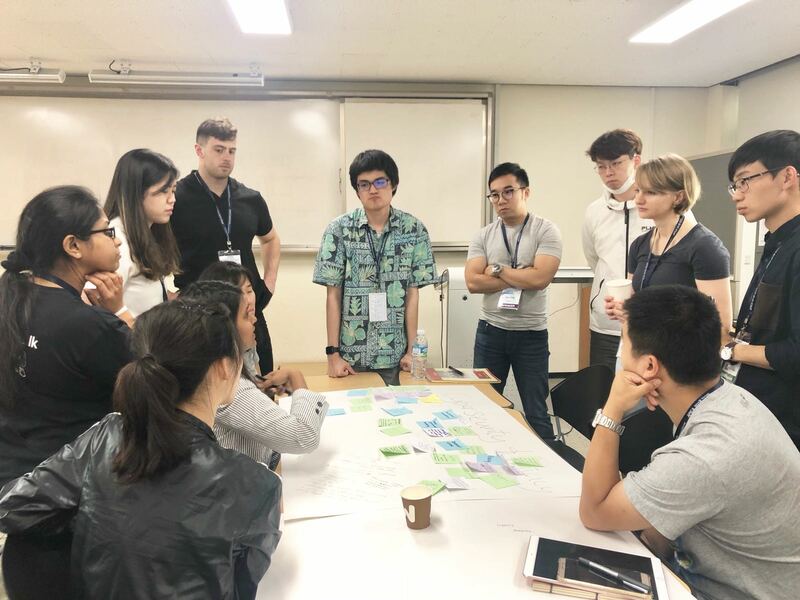 As part of our on-going commitment to the Asia-Pacific region and sharing of information with our counter-parts internationally, Dylan Connolly, Complaints and Compliance Manager was recently invited by the Korean Information Security Agency to speak at the Asia Pacific Internet Governance Forum (APIGF2018). 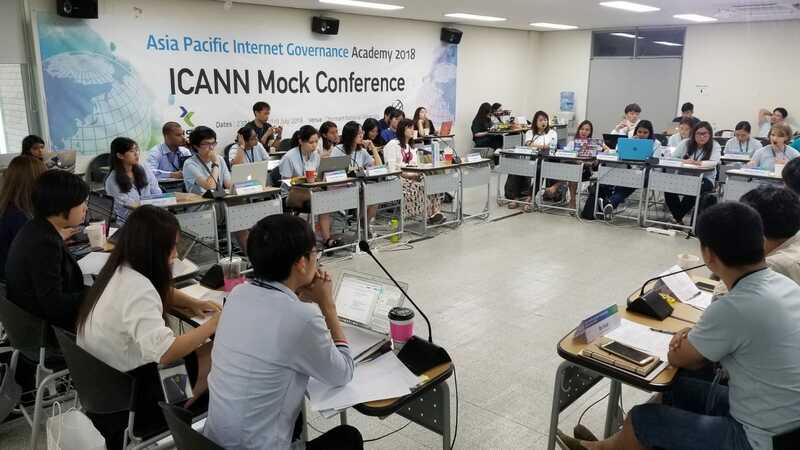 Over 40 young people from across the region attended a week-long academy, where they were tutored and mentored about all things Internet Governance related. Next month, following the Asia Pacific Regional Internet Governance Forum in Vanuatu, we will be hosting staff from the Telecommunications and Radiocommunications Regulator. This international exchange is part of capacity-building functions under the terms of our joint Memorandum of Understanding. Registrars not offering .nz domain name holders the Individual Registrant Privacy Option have until 31 August 2018 to get compliant before compliance enforcement activities get underway. IRPO became mandatory on 31 March 2018. Similarly, all .nz Authorised Registrars should have now signed and returned their contracts and Agreements which were recently updated to reflect changes in the General Data Protection Regulation. Any Registrar needing to discuss these changes should speak with Josh Cookson (Registrar Liaison and Compliance). Quarterly market share statistics for the period April - June are available online. There has been little change to the distribution of market share among registrars. The greatest percentage increase since the last quarter is of registrations directly at .nz, which has had a 2% increase. This is in comparison to the largest level in the space, .co.nz, which has had the next largest percentage increase of 0.6%. Overall, .nz registrations have increased by 0.7%. Staff from the office attended the quarterly Dispute Investigators Group (DIG) meeting. In addition to sharing best practice with their dispute resolution colleagues, attendees heard two presentations with a data focus. The Broadcasting Standards Authority shared research on language that may offend in broadcasting, while DOT loves data shared their approach to gaining meaningfulness from complaint data in various industries. This month, the Commission opened its first contact centre made possible through an InternetNZ telephony upgrade. New Zealand based callers can now reach us on 0800 101 151 and our international callers on + 64 4 472 1600. Our new contact centre hours are 9am-4:45pm Monday to Thursday, and 9am- 4pm Friday. Who is IT NZ – a lifestyle feature of the new Domain Commissioner, Brent Carey.